We’re back! This blog mysteriously disappeared for a few months due to some really strange technical issues with the host, but we’re back, albeit with many of the posts missing (we had to recreate it from the wayback archives). So now that we’ve returned, the blogging will commence (next week — got some litigation papers going out this week and we’re working day and night). Got some great news today — the Ninth Circuit Court of Appeals affirmed our win that EL GALLO for energy drinks infringes our client E. & J. Gallo Winery’s trademark rights in the GALLO trademark. Very exciting. 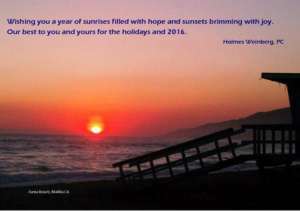 And while you’re waiting for the next blog, check out our new website, www.holmesweinberg.com. It was designed by our client Pop2Life, some of the most creative people I know. Confession time: I am a voracious reader. I love books that challenge us to think, explore, and expand. 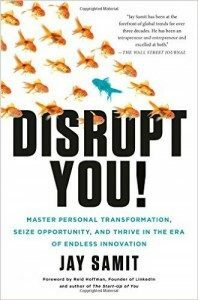 One of the best books I have read, and one that every business executive, marketer, brander, student, and, frankly, everyone must read is Jay Samit’s “Disrupt You! : Master Personal Transformation, Seize Opportunity, and Thrive in the Era of Endless Innovation.” Samit is one of the most successful entertainment and social media industry entrepreneurs in history, and in this inspiring book shows us how disruption is key to succeeding personally and in business. Disruption has become the business model for making success — looking at what exists and then finding a way to making it better, and then moving the masses to it. One need only look at Amazon, PayPal, eBay, LinkedIn, LegalZoom, Facebook, Virgin, Uber, Airbnb, and dozens of smaller ventures in the for profit and non-profit worlds to see the power of disruption. Using examples like these and the insights of some of the brilliant people behind them, Samit show us how to successfully disrupt everything, from one’s own mindset to traditional businesses to global politics. For branding professionals, the lessons here if adopted will change how you think about everything, and in a really good way for yourself, your business and your clients’ businesses, as well as local, national and global issues that desperately are in need of change. A few years ago, Bankrate.com did a story called Santa’s Net Worth and asked me to opine about that value. Bankrate Story. Bankrate.com figured that with all of the Santas at malls, on street corners for charities, at kids’ and office parties, in commercials, roaming casinos, and so on, Santa should be raking it in big time from royalties, endorsements and sponsorships. I unfortunately could not be the bearer of jolly news on this one. Santa, the persona, has no claim for royalties because there is no intellectual property protection for the concept of a jolly old man dressed in a red with white trim costume, a large white beard and mustache who runs a children’s gift making factory in the North Pole. Concepts, as I covered in an earlier blog post, are not protectable except under laws of confidentiality and trade secrets. 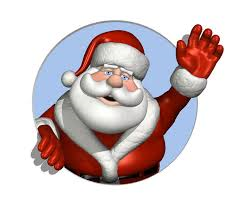 And given the public history of the Santa character, there’s likely no one who could claim exclusive rights in it. According to various Internet sources, there may have been a St. Nicholas, a monk who lived in what is today Turkey sometime in the late 200’s. He was mostly known, according to legend, for saving children from being sold into slavery or prostitution. The name Santa Claus is derived from the Dutch version of St. Nicholas — Sint Nikolaas — which was shortened in early New York days to Sinter Klaas. Washington Irving dubbed him the patron saint of New York in his work “The History of New York” published in 1809. But back then, Sinter Klaas was described by some as a “rascal” with a blue three-cornered hat, a red waistcoat and yellow stockings. 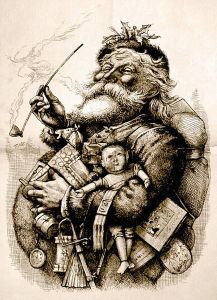 The Santa we grew up with was created by Thomas Nash, the then well-known political illustrator for Harper’s Weekly as part of a series of illustrations published on Christmas Eve 1862 memorializing the sadness surrounding Union losses during the still raging Civil War. When Christmas evolved into a commercialized holiday starting around 1880 in New York and other cities, Nash’s Santa, as shown below on the left in 1881, was adopted as the real deal. 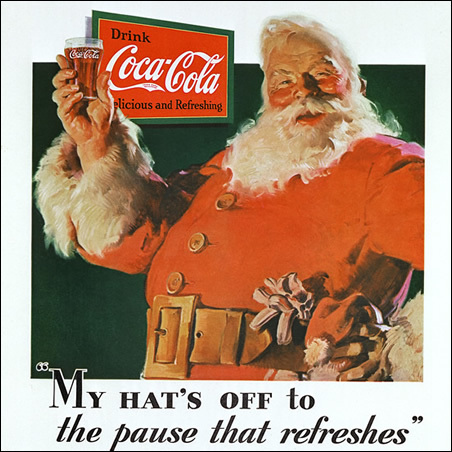 But as times changed, and Christmas became more and more commercialized, the idea of Santa the brand ambassador emerged — Coca-Cola hired artist Haddon Sundblom who created the more modern-looking Santa in 1931 for Coca-Cola Christmas ads. That’s Sundblom’s version to the right of Nash’s. 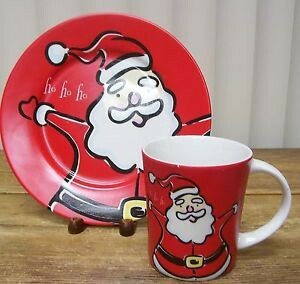 Given this history, can any Santa be protected by intellectual property law? The answer is Yes! While concepts made public are public domain, specific original expressions of a concept can be protected. Thus, when a company decided to use our client Max & Lucy’s version of Santa (shown below) without permission for various products, we were able to stop that use under copyright law and happily worked out a settlement that gave our clients a little extra spending money for the holidays. 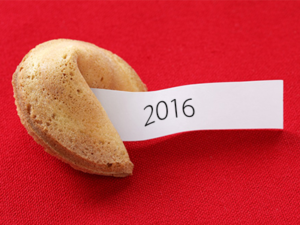 Not unexpectedly, predictions for brands and social media in 2016 are coming our way. In its newest report, eMarketer is predicting that Facebook and Twitter will continue to be the leading social networks for marketers, but both it and SEO consulting agency White Hat Media are predicting rapid growth for Instagram now that it is accepting ads. Of course, with Instagram being owned by Facebook, that change will make Facebook the leader by far for B2C social advertising. See eMarketer Predictions and White Hat Media Predictions. (and thanks to White Hat Media for the cool fortune cookie image above). As one of its major predictions for 2016, Digiday is predicting that brands “will stop trying to be millenials’ cool friend.” Digiday Brand Predictions. Why? Because as Tanya Dua, the author of the story keenly observes after noting that in 2015, more than 168 brands, including many of the majors, included a lot of mentions of what they considered to be “cool” millennial phrases (like “bae” and “on fleek”): “when a thing becomes cool enough for [brands] to have heard of it, it’s probably lost its cool cache. And when everyone’s doing it, it completely loses any semblance of authenticity.” The real problem for brands was that while consumers at first thought the use of these phrases gave the brands some personality and sass, this quickly was replaced by suspicion and in some cases backlash when these same consumers discovered that these ads were collecting a ton of their personal data with no controls over how the data would be used. “A hallmark of communal relationships is that they are not based on exchanges of comparable benefits. That doesn’t mean you are supposed to freeload off your friends, but it does mean if your friend drives you to the airport, you are not supposed to give him $80 — you are supposed to do him a favor later, when he needs help from you. Since companies are ultimately in the business of charging their customers for products and services, they are likely to end up violating the communal relationship norms they establish, with charges for services rendered intruding on the friendly nature of the relationship.” In other words, friends don’t charge friends to be friends (my words, not his). But friends do find ways to help each other out. The best way for brands to do this according to some experts is to provide consumers with functionality that makes use of their apps and ads more friendly and easy to use, like the “Easy Order” button from Domino’s that makes ordering a one-click process. There’s a charge, but great functionality eases the pain. And given the state of the world, a little less pain will go a really far way. So here’s a basic rule: know your customers before trying to sell them. 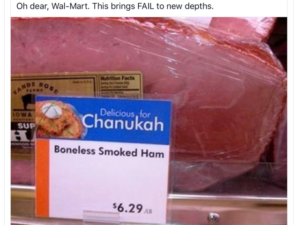 As the comment on this photo indicates, Walmart should have taken a minute to understand that people who celebrate Chanukah likely are not going to be shopping for boneless smoked ham, or any ham. It’s a classic example of (1) not paying attention (2) not understanding to whom you are marketing, (3) a prank by an unhappy employee, and/or (4) not caring. All of these ends up in the same place — a negative brand image. Customers love to know that a brand has taken the time to get to known them and their likes and dislikes, and this has never been more true than now, when ongoing intimate customer engagement has become the key to creating and maintaining brand/customer relationships. And given the increasing multi-cultural demographics in today’s domestic and global marketplaces, it’s more important than ever for brands to take the time to do it right. Which means that brands and the people who work for them need to be educated about, sensitive to and aware of the cultural differences of their diverse customer base. So Walmart, just in case you’re listening, don’t merchandise steaks to vegans, bacon to pe0ple celebrating Ramadan, white bread for Passover….